Through an incredible partnership with The Ian Potter Foundation we are excited to announce an opportunity for people with disability to join our Bushcare Training Program. This training program has been developed with the objective of learning within a team environment to carry out tasks that will assist in maintenance of various bush regeneration sites. The skills developed through the semester can then be used to meet the employment and life goals of the participant. 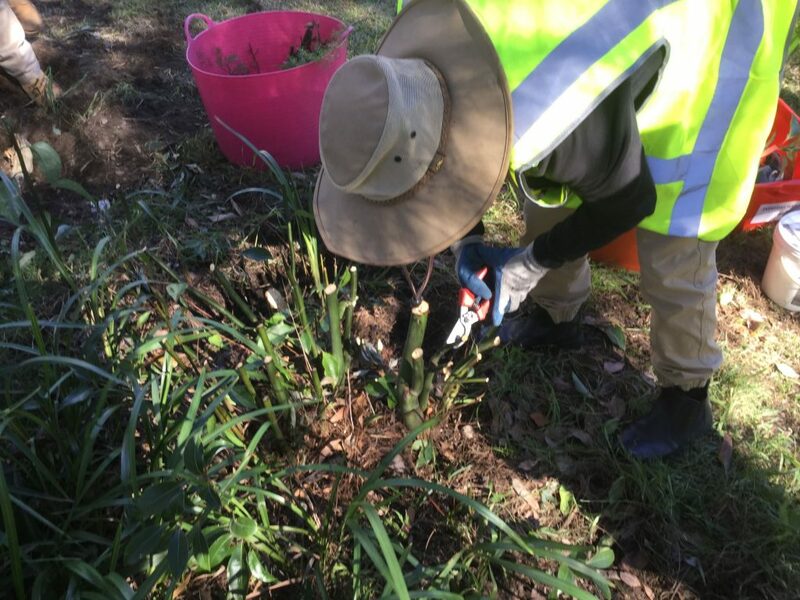 The Bushcare training program will focus on developing new skills in workplace health and safety, tool safety, weed identification and removal, planting and bush regeneration best practice. There are positions available based out of Chatswood and Brookvale; Chatswood will commence September 10th 2018 and Brookvale will commence by the end of October 2018. When Week commencing 10/09/18 – Mondays or Wednesdays for 24 weeks. 9am – 3pm. Learning within a team environment to carry out tasks that will assist in maintenance of various bush regeneration sites. Service Agreement based on NDIS funding for support provision. Categories may include Finding and Keeping a Job, School Leavers Employment Supports, Core Supports. For Expression of Interest please contact us.